At Heartland Pool & Spa we are here to take care of all of your needs, whether that be pool and spa supplies or just needed repairs. We are open 7 days a week for your convenience, because we know how busy your schedule can be and we don't want you to miss a minute of your pool and spa time. We want to be sure your pool or spa is ready when you are. 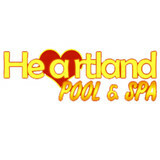 When you need expert advice, visit us at Heartland Pool & Spa. Swimming pool or spa, in-ground or above, we have the knowledge to help you. Have a piece of equipment you just can't figure out? Bring it in and let us take a look! We carry a wide variety of replacement parts for Polaris equipment and many others. Even if it is a rare part causing the problem, we can help. And if we don't have your part in stock, our special service order program makes sure you will get your part as soon as possible. The Waterman is the leading bulk water delivery company in the Wisconsin and Illinois water supply industry delivering bulk fresh water on time every time. 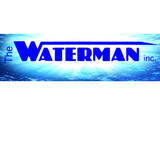 Supplying southeastern Wisconsin and the northern Illinois counties of Lake and McHenry with reliable bulk water delivery for swimming pools, ponds, landscape irrigation, and commercial construction The Waterman brings expertise and helps with the project every step of the way. What should I look for when hiring a pool cleaning service in Gibbsville, WI? Pools and hot tubs are big investments, so you’ll want to make sure to protect them by hiring an expert who cares about them just as much as you do. Check that the Gibbsville swimming pool maintenance service you are interested in actually specializes in the type of pool you have — chlorine and salt water pools have very different needs, and in-ground versus above-ground pools will require different upkeep and repair methods. Also, know who will be doing the repair or service; if it’s one of the larger swimming pool services in Gibbsville, WI, request that you get same person every time, otherwise you could get inconsistency in treatments. Good Gibbsville pool professionals will keep a consistent schedule and log everything they do so that it can be referenced in the event that you switch companies or something does go wrong. Like any other professional, look for local pool cleaning companies near you with plenty of good reviews and relevant experience. Find a Gibbsville, WI swimming pool repair and maintenance specialist on Houzz. Narrow your search in the Professionals section of the website to spa and pool maintenance companies in Gibbsville, WI and read reviews and ratings for pros in your area.